I only had two empties this month and I thought that wasn't really worth a blog post so I decided to talk about some of my favourites this month instead! Most of the products are ones I've already reviewed on here so I won't go into too much detail. Botanicals Chamomile Skin Tonic (reviewed here) wasn't a product I could see as a favourite the first time I tried a sample of it. I mentioned it in my July wish list though I missed having it when my sample ran out! It's technically a toner but I love using this as my morning cleanser too. It's easy to explain why Fresh Therapies Nail Polish Remover (reviewed here) is on my favourites list this month. Nail polish remover that actually smells nice, doesn't have the harsh chemicals like conventional removers but still works? Yes please! My last blog post featured the Lily Lolo Mineral Concealer (reviewed here). It's just a great powder concealer with buildable coverage, ideal for warm weather when you don't want liquid or cream concealer sliding all over your face! I'm totally in love with the NEOM Invigorate Travel Candle (yes I am in love with an inanimate object ha!). The citrusy scents of grapefruit, bergamot and lime are amazing and I can't believe how much my mood improves when I burn this candle! 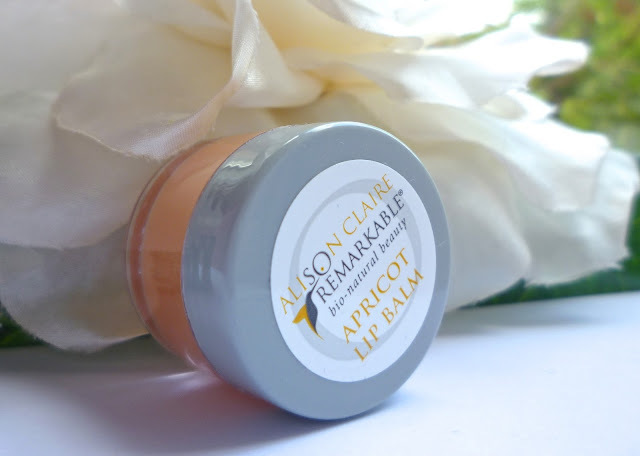 Finally, the little gem that is the Alison Claire Apricot Lip Balm* was recently added to my extensive lip balm collection and it's the one I've been reaching for the most this month. It's really fruity and it definitely smells of apricot. My only slight qualm... it can be a little difficult to get out of the pot. I would love this a lot more if it was a lip balm stick instead! Aside from all the products I've been loving, I wanted to share some blog love too. It's always nice to share a bit of love for fellow bloggers, so I've picked out 3 of my favourites this month which I personally think deserve a good bit of recognition! B.L.A.B is a lifestyle and beauty blog written by Hannah. Isn't the blog name totally ingenious?! I think her blog was one of the first ones I followed after I'd started my blog! Hannah always has gorgeous photos to go with her blog posts and I love the variety of beauty and lifestyle posts. I also love seeing photos of her adorable cat called Biggie! Call It Vanity is a new blog that I discovered after the first #greenchat on twitter a few weeks ago. 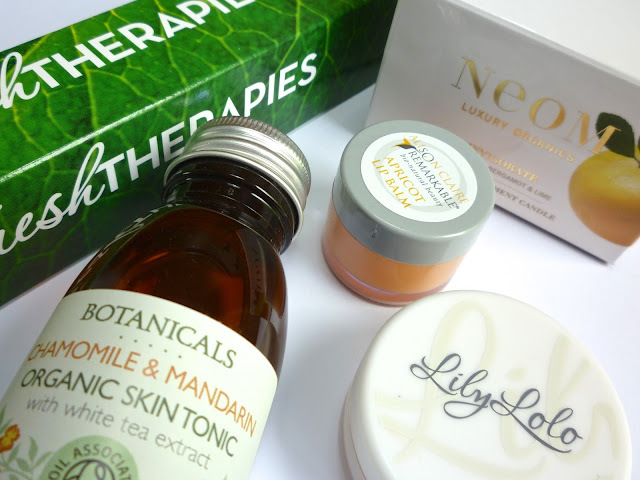 This blog is written by Mayah and Sabrina with a heavy focus on good natural ingredients when it comes to beauty products. I love the way these girls write, it's almost like you're actually having a conversation with them. I've already added loads of products to my wish list after reading some of their reviews! Last but not least, Annabel's blog Fragmented Splendour has quickly become a favourite of mine since Evelyn (We Were Raised By Wolves) mentioned us both in her "5 Blogs to Follow" feature last month. Her blog literally has a bit of everything and the photography is sooo good. She's been mentioning a lot of natural/organic products recently too, which of course I love reading about! What products and blogs have you been loving this month? Awwwh omg me and Sabrina have just seen this - only popped on for a quick read of your July favs, what a surprise! So flattered, absolutely love your blog! It's great to hear that you get that conversational thing from our writing style because it's completely what we were going for. Will definitely check out the other blogs you mentioned too. I love the neom invigorate candle!! I've still got a tiiiiny bit left in the bottom, probably 2 or 3 hours burn time & I just can't bring myself to do it... It smells too nice to say goodbye! Thank you so much for the mention!! It makes me so happy that you enjoy reading my blog :) I've been reading your blog since you started and you have introduced me to so many amazing natural products that i'd never heard of before so thank you!! I really want to try one of the Neom candles, the sound so lovely! Everyone seems to love Neom. I hope I do soon. Haven't tried any of these products, but they sound lovely! You always have such great suggestions. The lip balm sounds like something I'd love, and I am definitely checking out those blogs!